The English East India Company was founded in 1599. At first it was an informal group of merchant venturers sponsoring expeditions to the far east, and the Company’s first fleet returned to London in 1603 with great success. Such ventures were fraught with danger, from disease which might wipe out the crew and typhoons which might sink the ship. 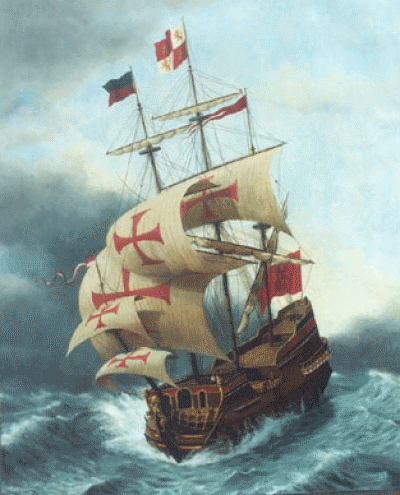 The Portuguese claimed a monopoly on trade with the far east, so the Company’s fleets were often attacked by Portuguese ships, while Company ships were also in danger from the fleets of their competitors for the trade, the Dutch East India Company. In December 1612 the ships of the Company’s tenth venture trounced a larger Portuguese fleet in the Gulf of Cambay on the west coast of India. Turning his back on the sea, Peyton began a new life as a country gentleman. He came to Sutton Coldfield, where he married Dorothy Stanton in January 1618. She was the daughter of Thomas Stanton of Wolverton Hall near Stratford, and related to several Sutton gentry families. Peyton was well-established enough in Sutton to be recorded as a gentleman in the Heralds’ Visitation of Warwickshire of 1619, where he is described as “of great reputation”. He purchased Marlpit Hall (in Marlpit Lane, Little Sutton) as his country house, and acquired several other Sutton properties.